Price listed is for each bead. These are square plastic beads that measure about 35/29mm. 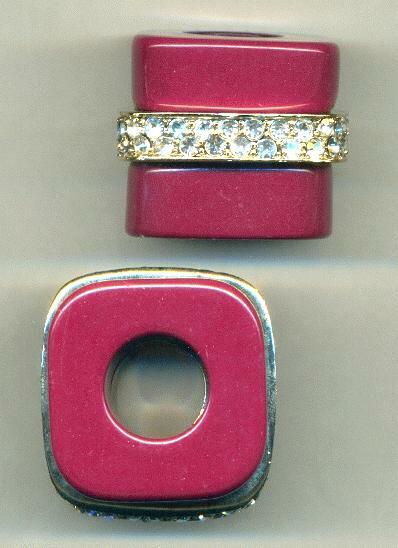 They are magenta with a gold metal band around the center. The band has two rows of machine cut crystal clear rhinestones set in it. The hole measures about 13mm wide.